Have you always wanted to achieve a dazzling smile that enhances your appearance and exudes confidence? 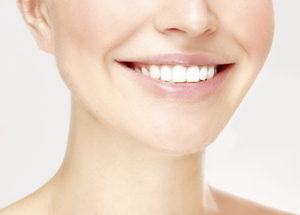 One of the best ways to get such a smile is with veneers, which we offer at the practice. Veneers, which are thin shells bonded to the front of the teeth, are ideal for those with broken, discoloured or misshaped teeth. We are now pleased to offer Uveneer, which is a distinctive type of template system used for fabricating composite veneers and mock-ups. This system was invented by Dr Sigal Jacobson, who has more than 20 years of experience in aesthetic dentistry. Uveneer was launched in Australia and the United States in 2014 and globally after. Thousands of dental clinics around the globe are using the system with excellent results. With Uveneer, dentists can consistently and cost-effectively fabricate composite veneers that are expectable in final tooth shape and smile design. Uveneer crafts composite veneers that have a contour and sheen like natural teeth. With Uveneer, our dentists utilise their own composite and can incorporate layering techniques into the process. Enhance the look of your smile with Uveneers. Contact us today to schedule a consultation with one of our dentists!